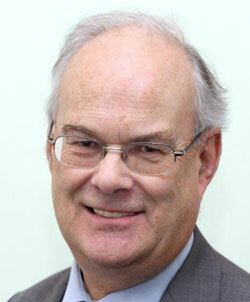 Graeme Kirk is the senior partner and head of the immigration department of Gross & Co Solicitors. Mr Kirk practices at the main office of the firm in Bury St Edmunds, Suffolk, and also at the firm’s office in London W1. He has specialised in business immigration law since 1981, founding and developing the immigration practice of Gross & Co, primarily through recommendations from clients and other professionals, including UK solicitors and overseas lawyers. Mr Kirk aims to provide a highly personal and cost-effective service of the highest quality to business clients. He has acted for clients from all over the world, and his current client list includes international banks, substantial British and foreign corporations, as well as smaller companies and entrepreneurs. He acts as a consultant in immigration law to a number of firms of UK solicitors and foreign lawyers. Mr Kirk has spoken at conferences and seminars in the UK and all over the world and has co-chaired the International Bar Association Global Immigration Conference in London, held every two years, since 2003. He has been invited to speak at the American Immigration Law Association (AILA) National Conference on several occasions and has been a contributor for the UK to AILA’s Global Immigration Guide and the Immigration and Nationality Law Handbook. Mr Kirk is one of the few UK immigration lawyers named in “Who’s Who Legal” the International Who’s Who directory of Business Lawyers. Entry to this publication is solely through nomination by lawyers around the world. Mr Kirk is also recognised in the Legal 500 and Chambers Directories as one of the leading UK immigration lawyers. International Bar Association (IBA) - Chairman of the Immigration and Nationality Law Committee - 2000-04: Council member of PPID Council - 2009-12: Co-Chair of the Global Employment Conference.